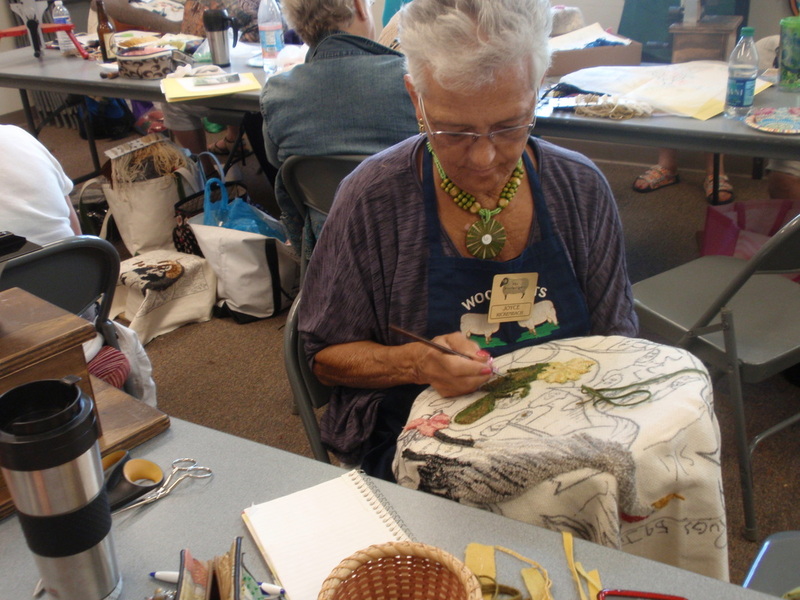 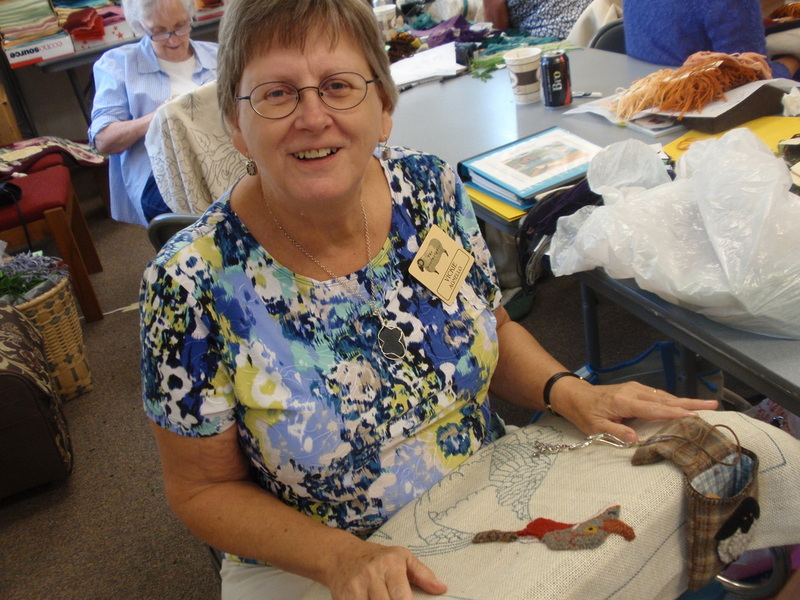 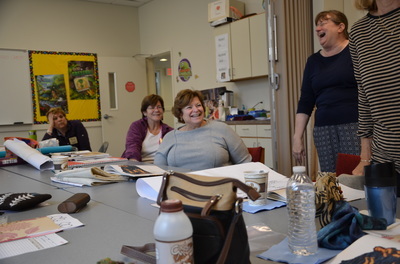 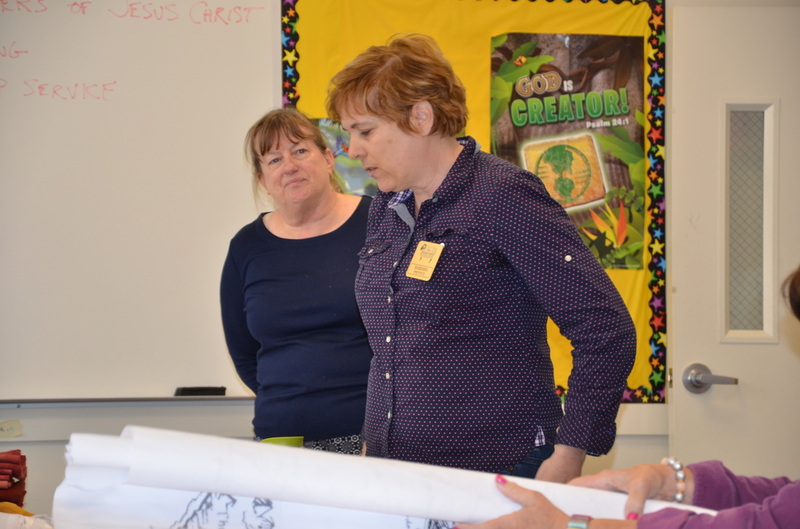 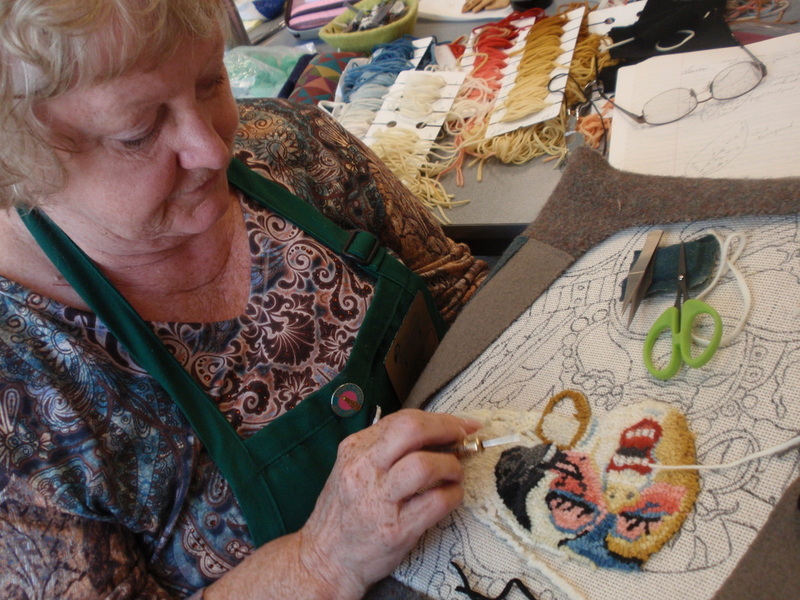 On August 20th through the 22nd, 2015, the Woolwrights had the opportunity to have a workshop with Sibyl Osicka. 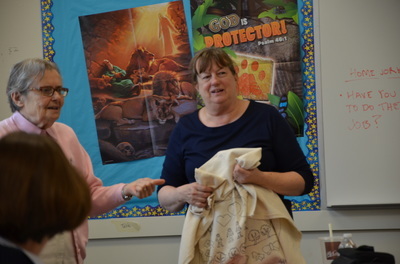 It looks like it was a wonderful teaching and learning experience. 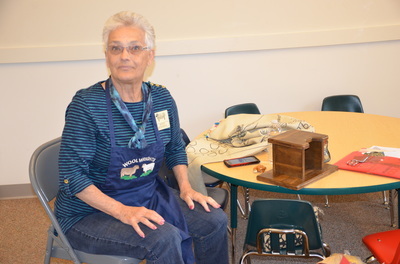 Thanks to Connie Bateman for the great photos and I hope to add a few words from Connie later. 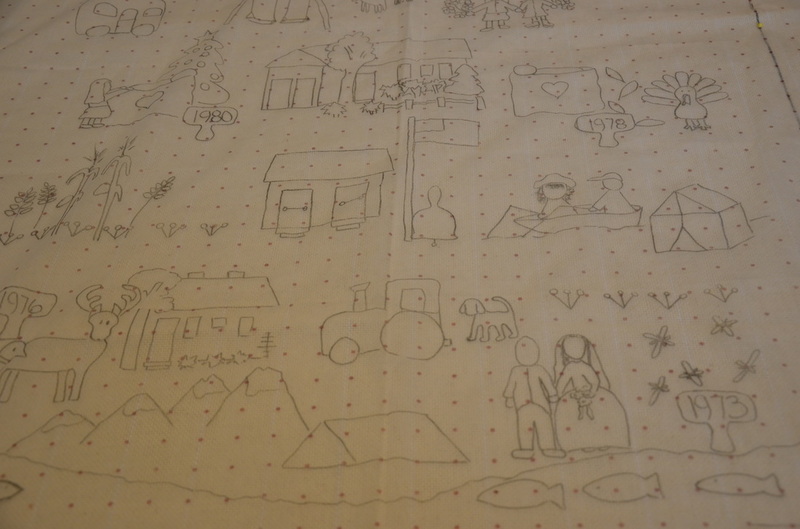 We all have a story..... yes, believe it or not, we all have a story. 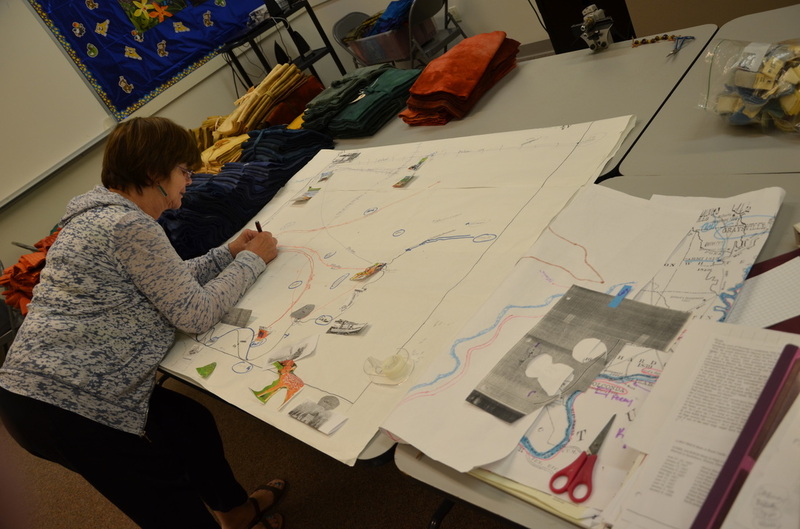 I know that when we started on this journey in January, many of us thought to ourselves "do I have a story?" But we all learned that, yes, we do have stories. 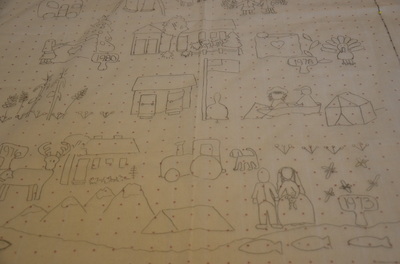 This is our story. 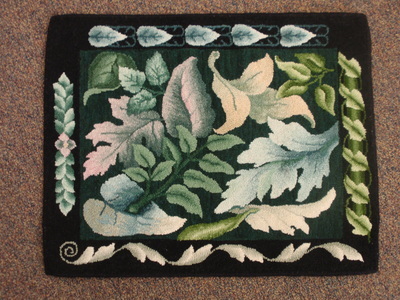 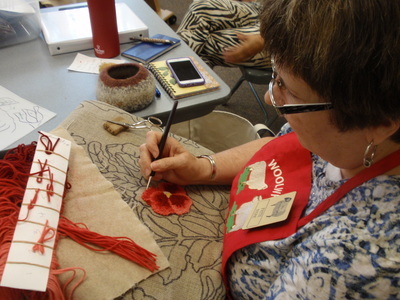 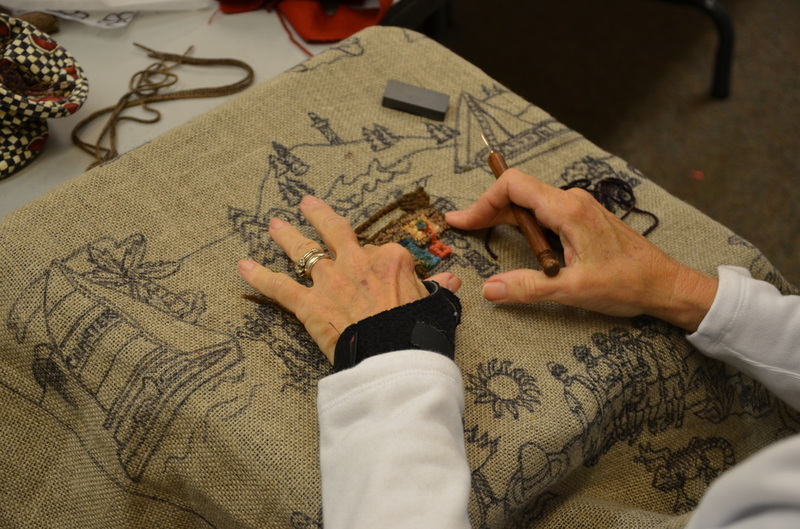 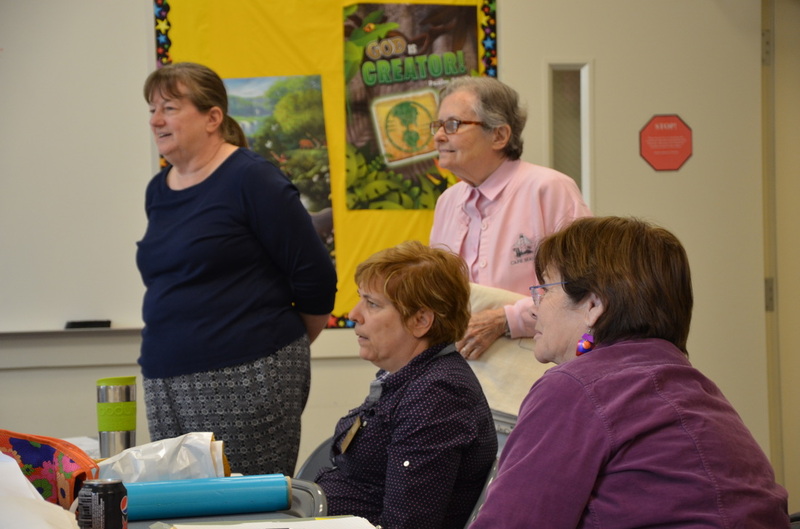 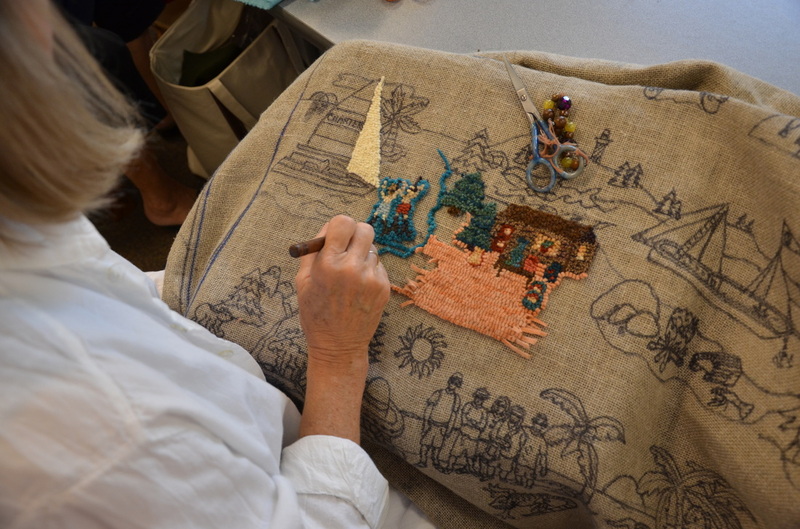 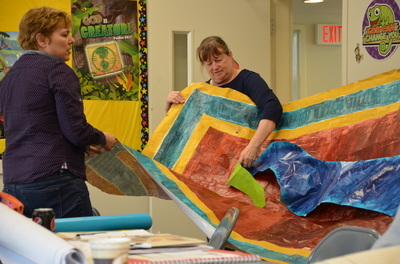 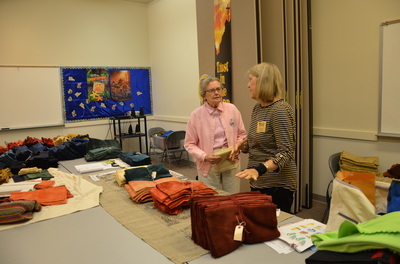 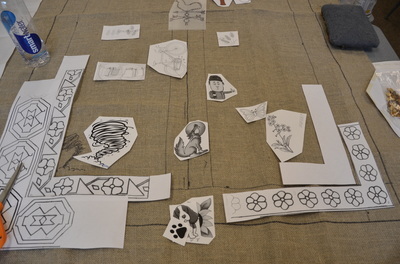 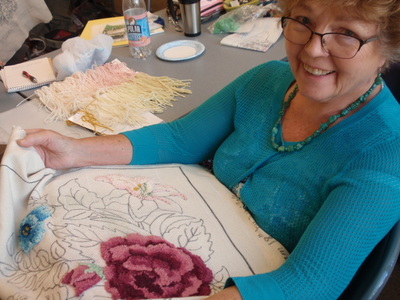 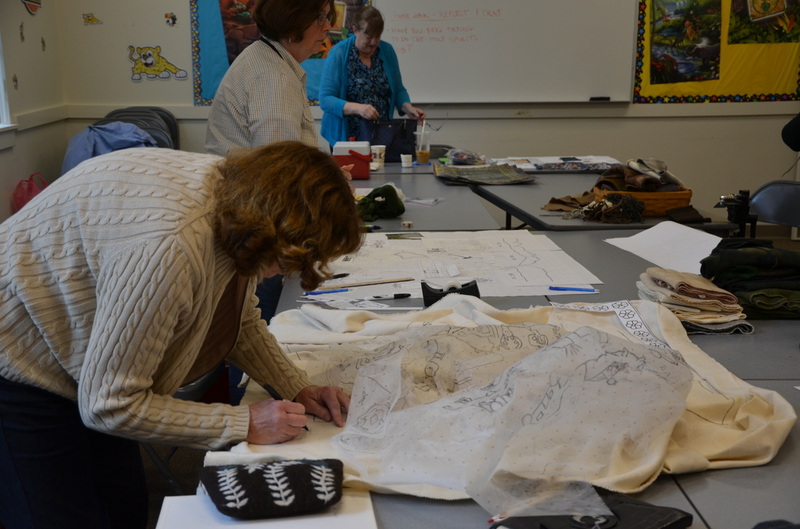 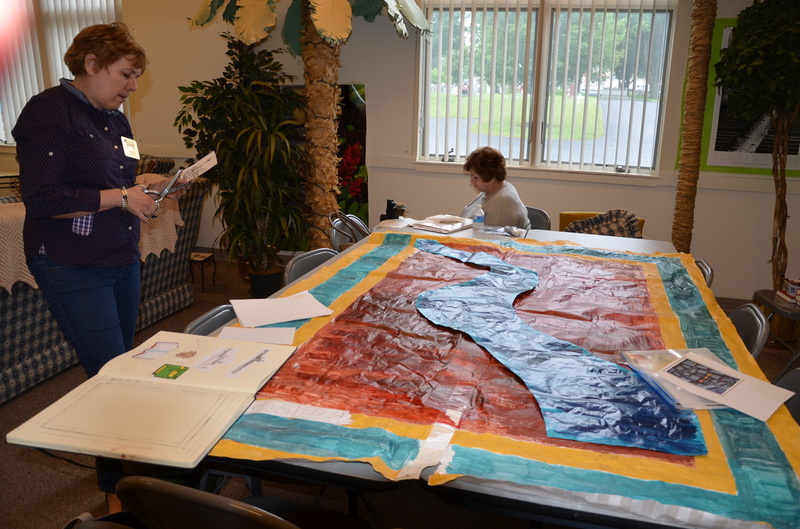 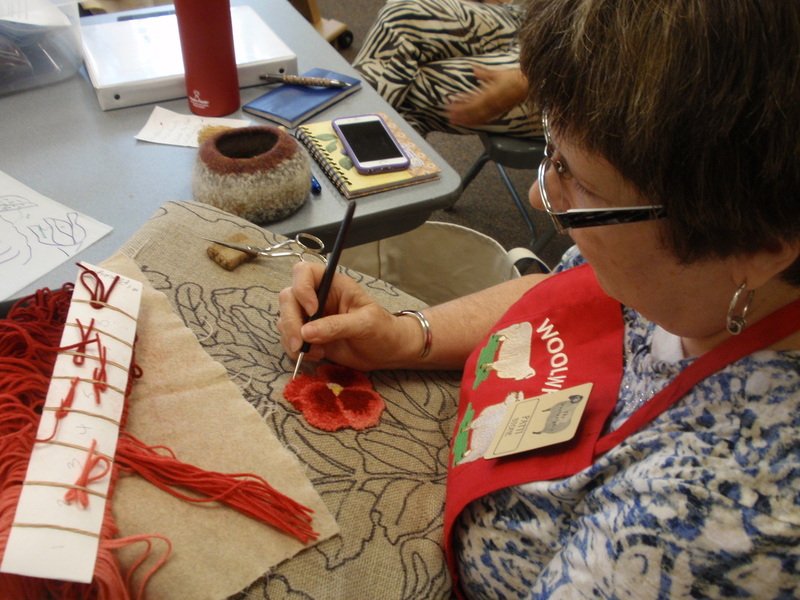 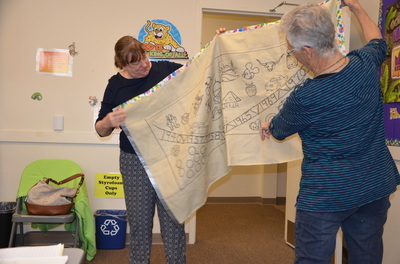 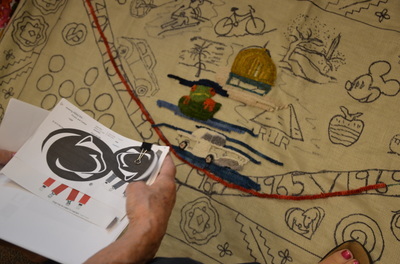 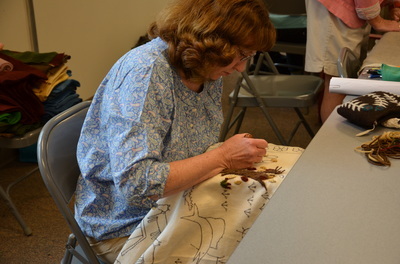 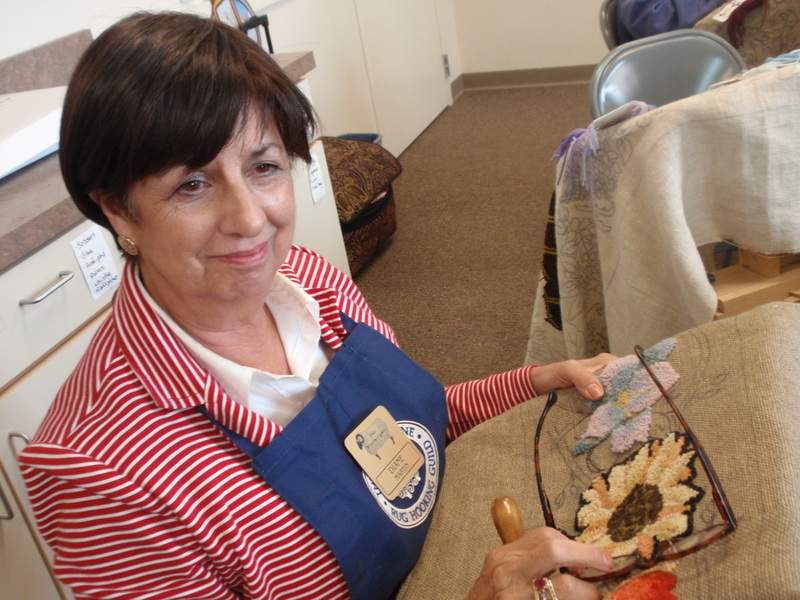 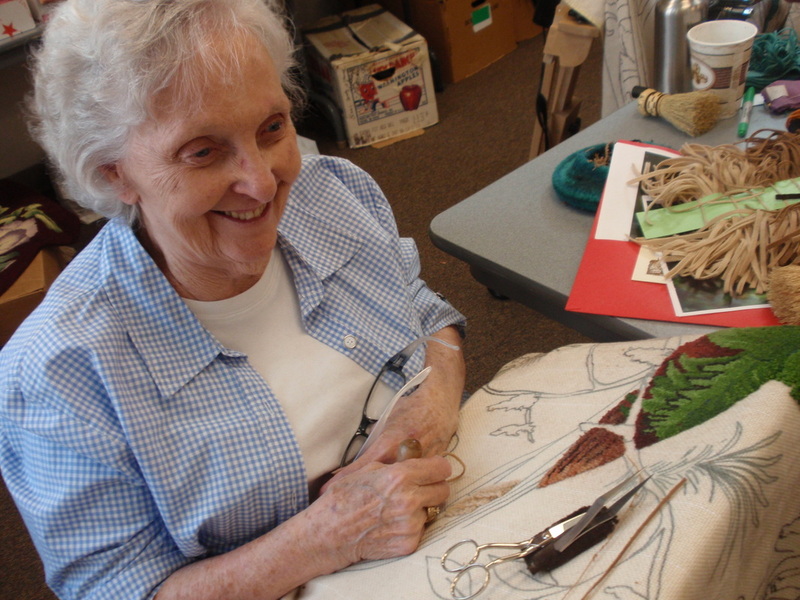 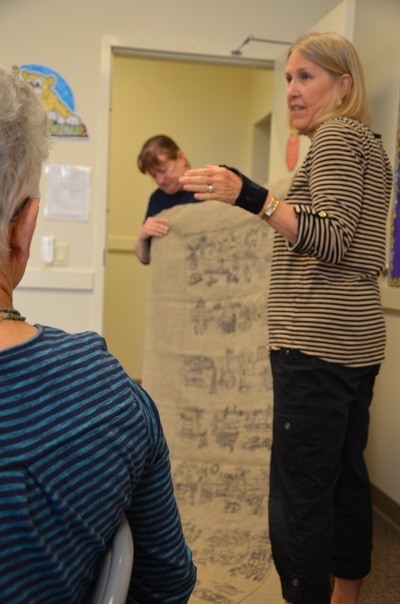 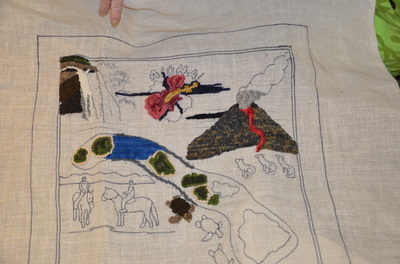 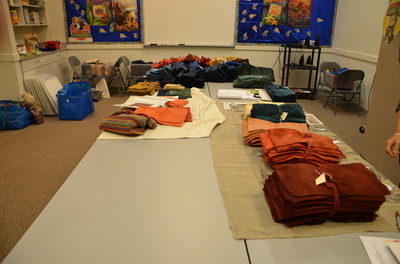 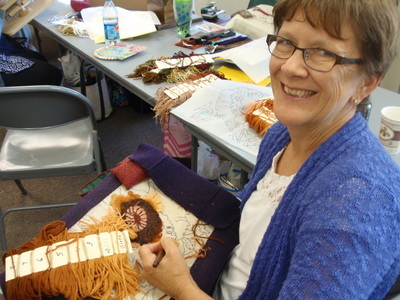 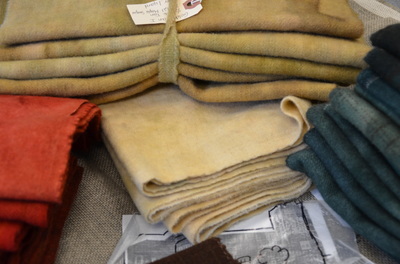 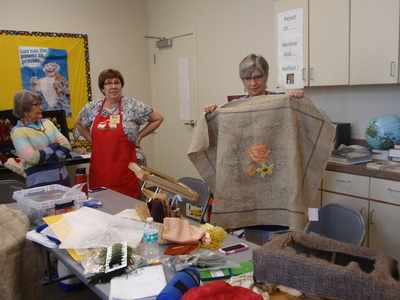 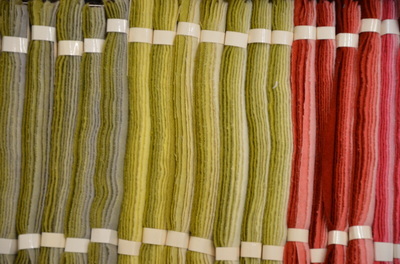 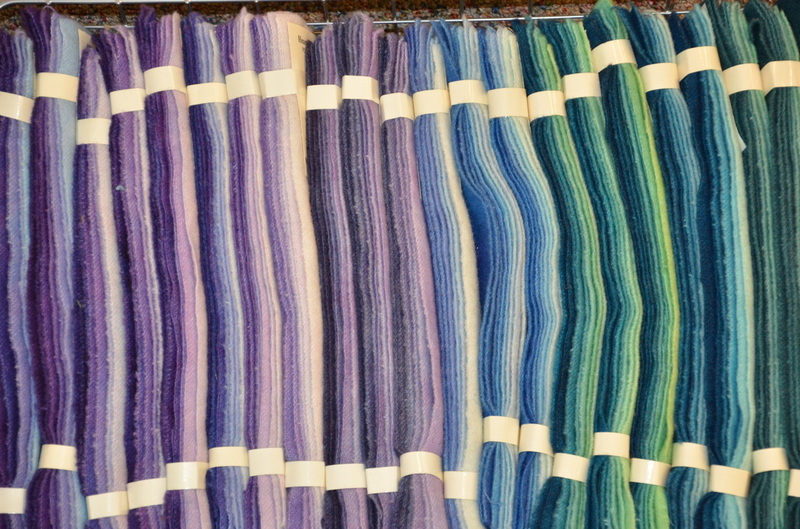 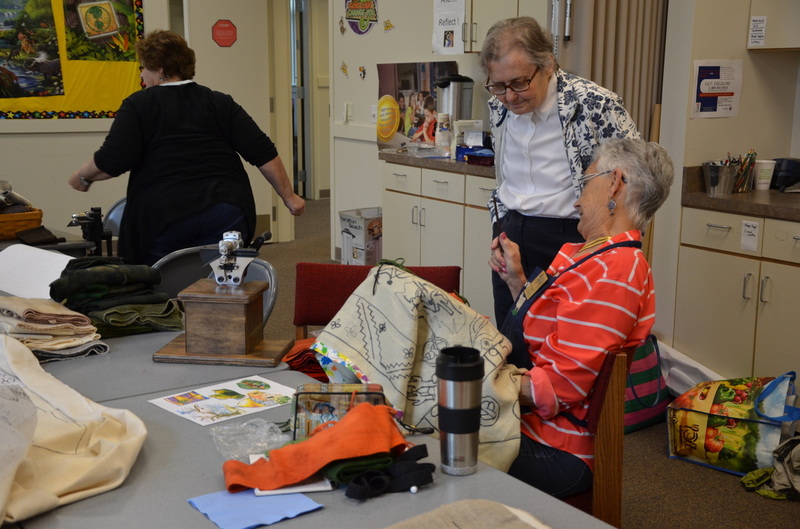 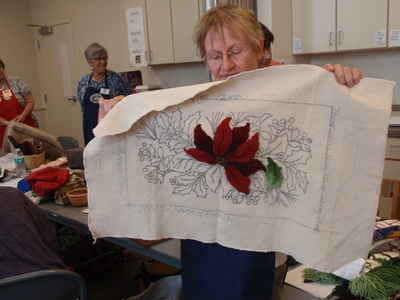 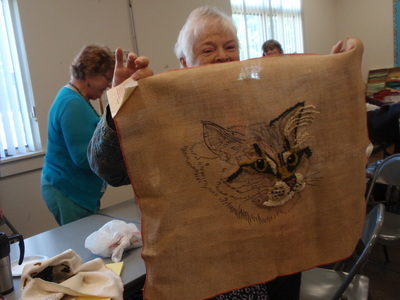 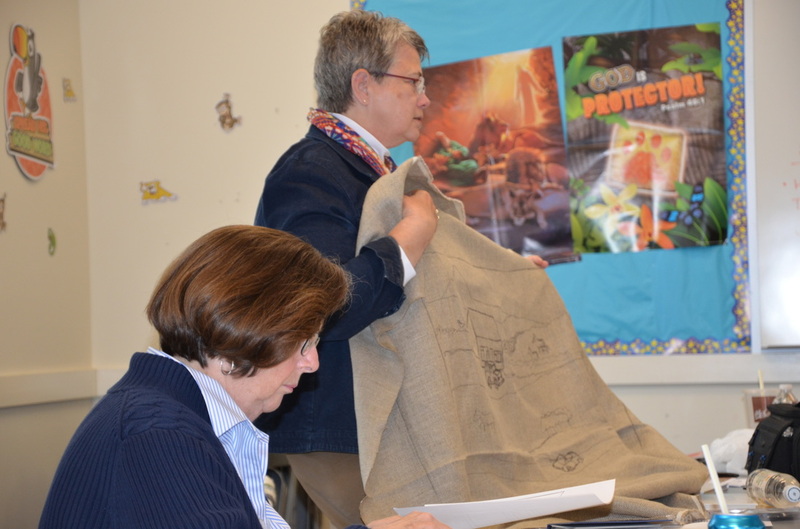 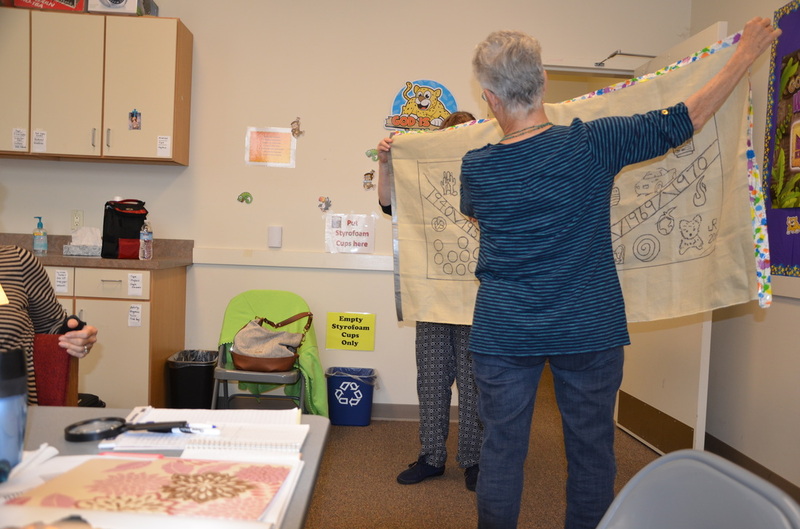 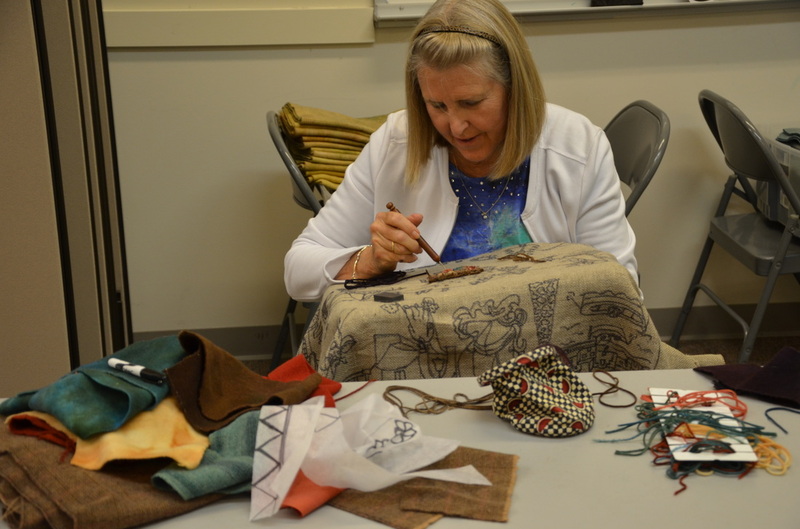 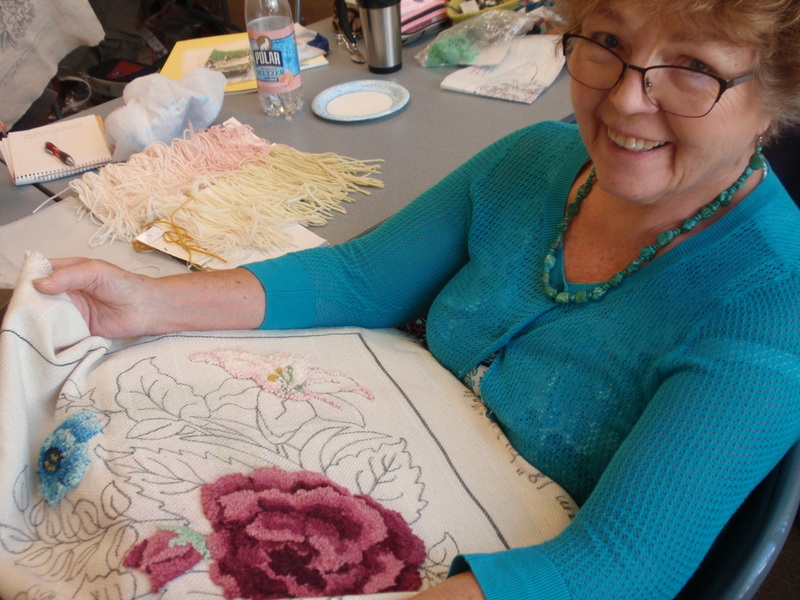 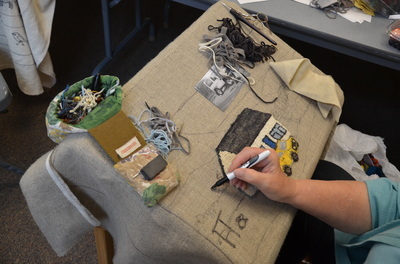 Beginning on June 3rd through the 6th, The Woolwrights were privileged to have Norma Batastini conduct a workshop on folklife rugs or as they have been called in the past, story rugs. 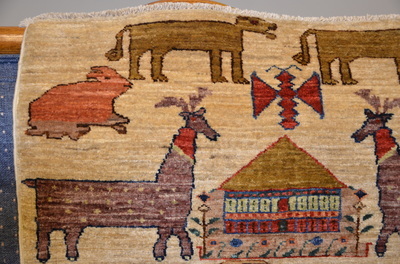 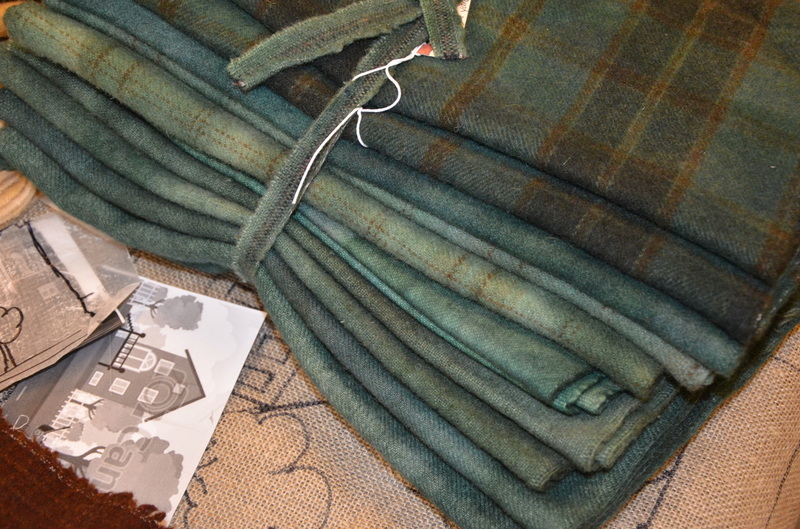 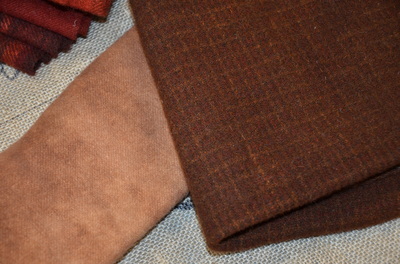 These rugs are hooked to tell the story of our lives or the many stories of our lives. 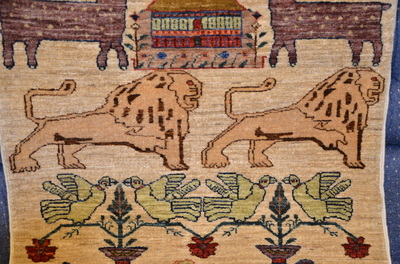 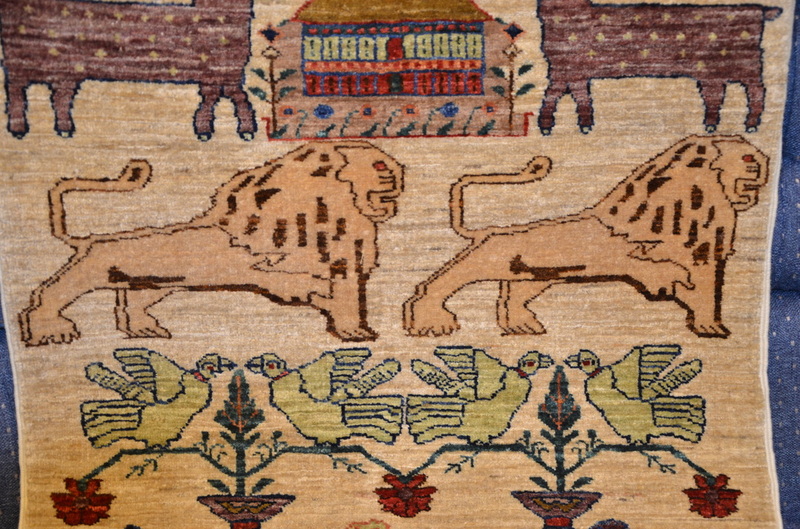 The designs are inspired from a book called "Azeri Folklife Carpets", by George Jevremovic of Material Culture, which shows incredibly detailed rugs. 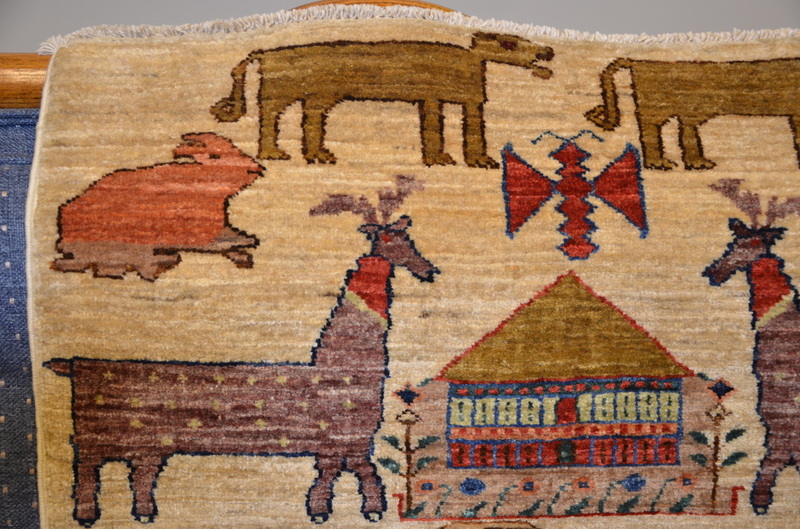 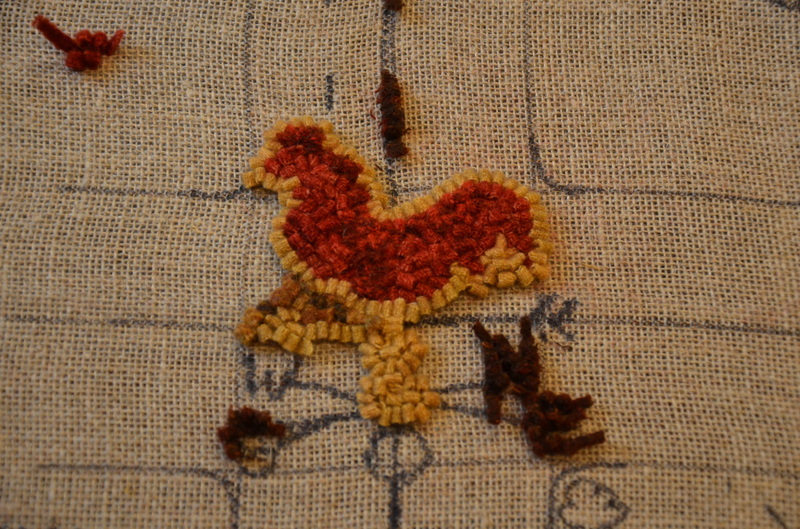 These rugs were originally weavings from the women of Turkey showing the details of their daily lives. We all started out at different stages in the process. 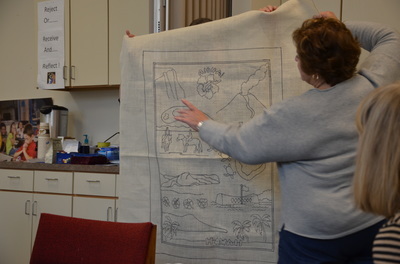 A couple of people had their rugs all planned and drawn and some people had ideas, but nothing drawn out on the linen or monk's cloth. 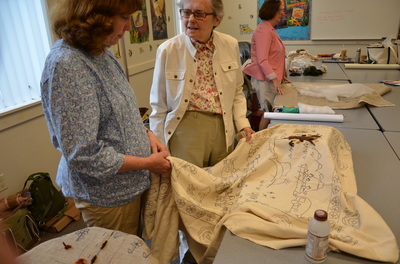 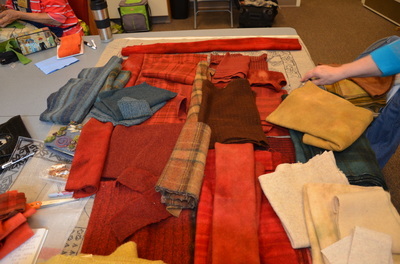 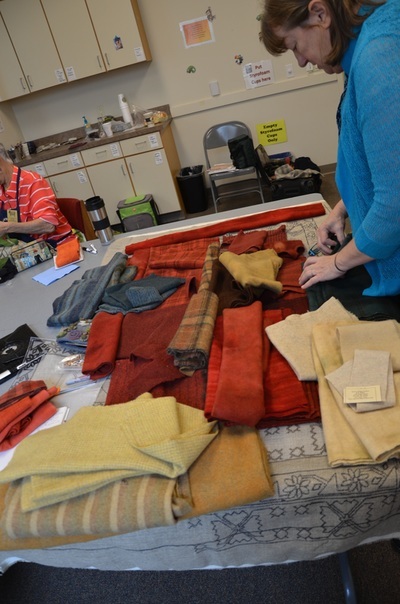 Norma was an exceptional teacher explaining the process of planning your designs, color planning, and hooking to bring people who view the rugs into the story. 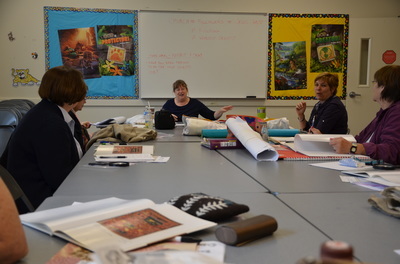 We had a sit down and research period each day. 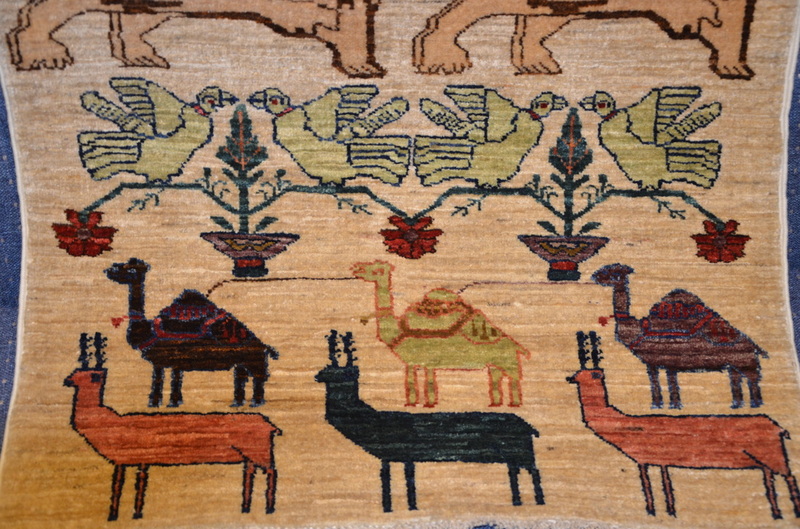 We learned of the history of the rugs and the meanings behind some of the designs and how to show the significance of time passing. 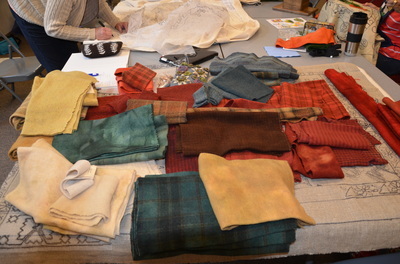 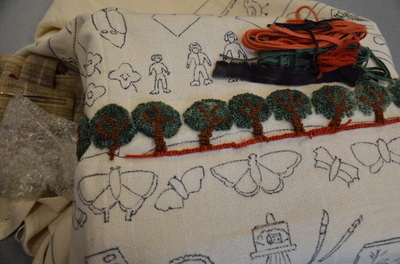 Most of the four days were spent planning and drawing designs and borders. 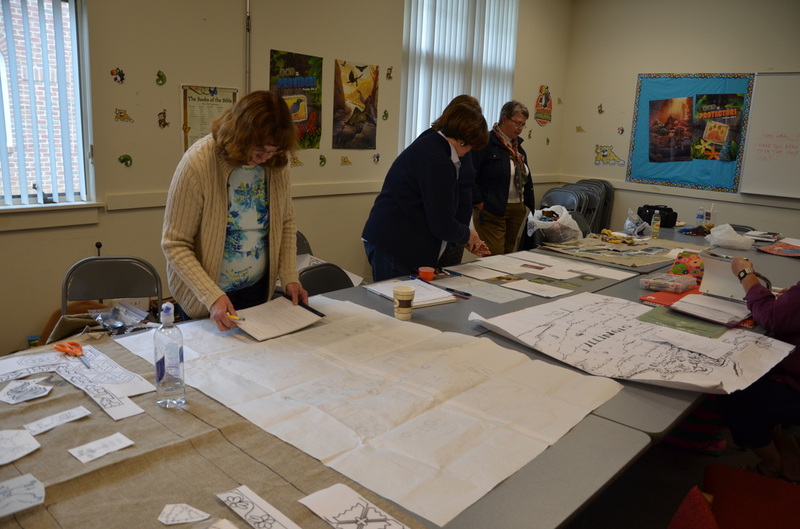 It was quiet in the rooms with the planning and concentration needed for these projects. At the end of the day, we felt exhausted, but could not wait to get to the church the next day and return to our design tables. 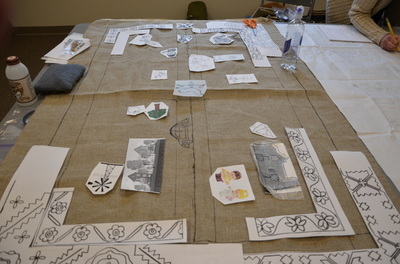 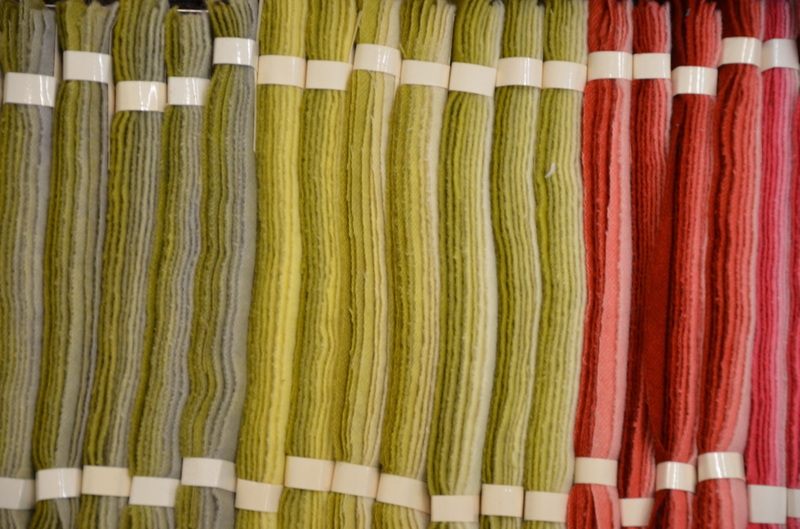 These rugs are a work in progress, a continuing process just as our lives and the lives of our families are. 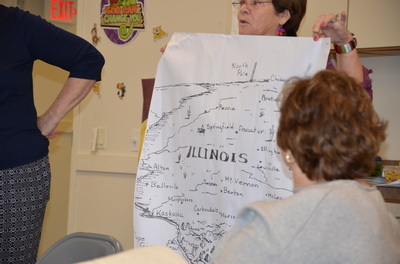 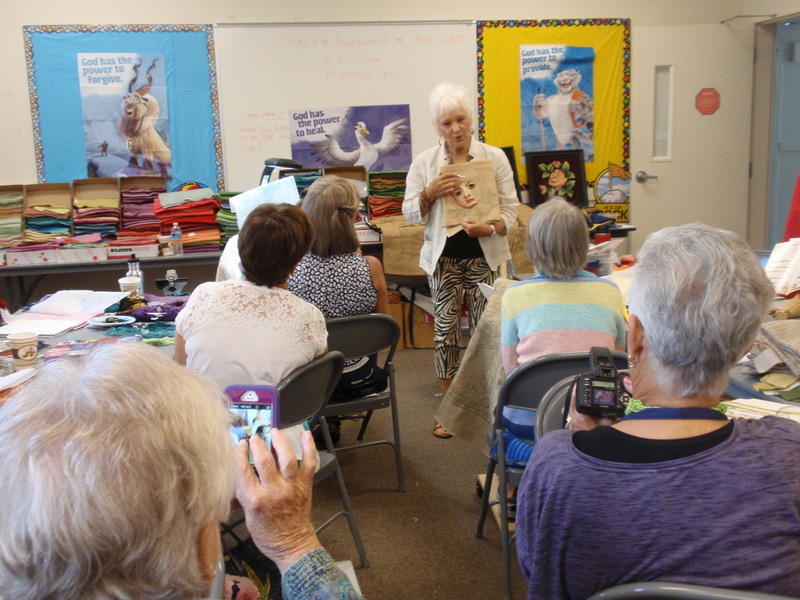 We learned from fellow members about the history of storytelling with the Ogallala Sioux Indians using buffalo hide to tell the history of the world from the beginning of creation and we were shown hand-stitched pieces of artwork telling the history of war from a woman's point of view in Asia. 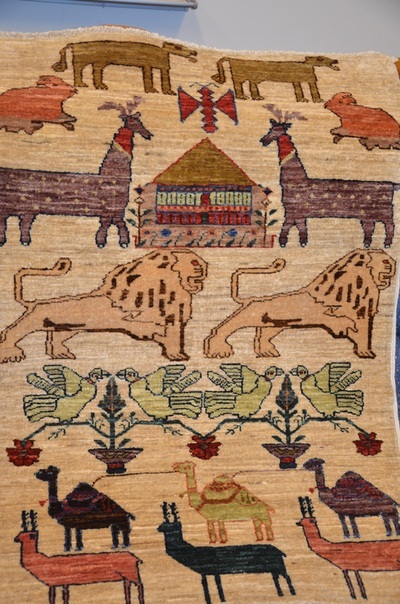 The last four photos are of a peace rug from Afghanistan and for more information of The Afghan Peace Rug Project go to: http://materialculture.com/inaugural-exhibition-promoting-peace-through-art/. 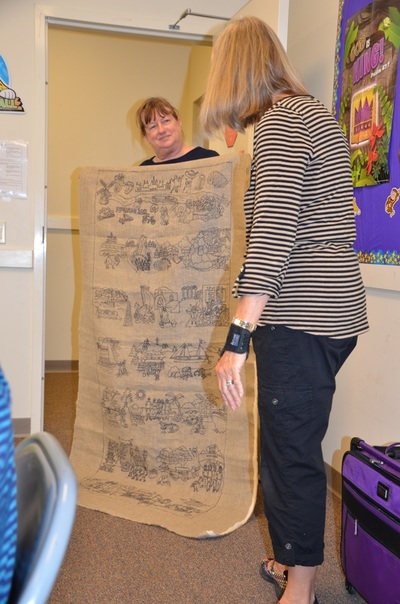 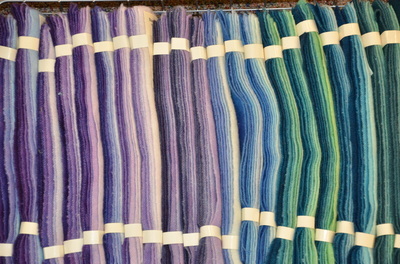 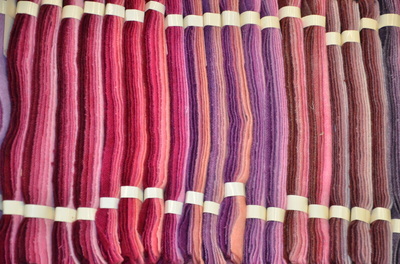 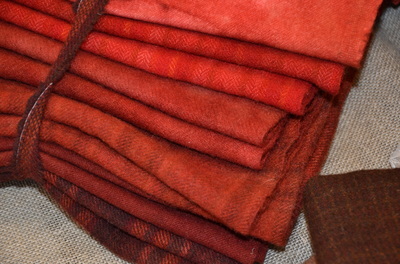 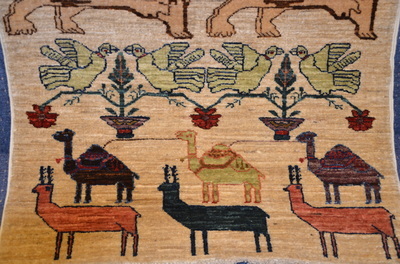 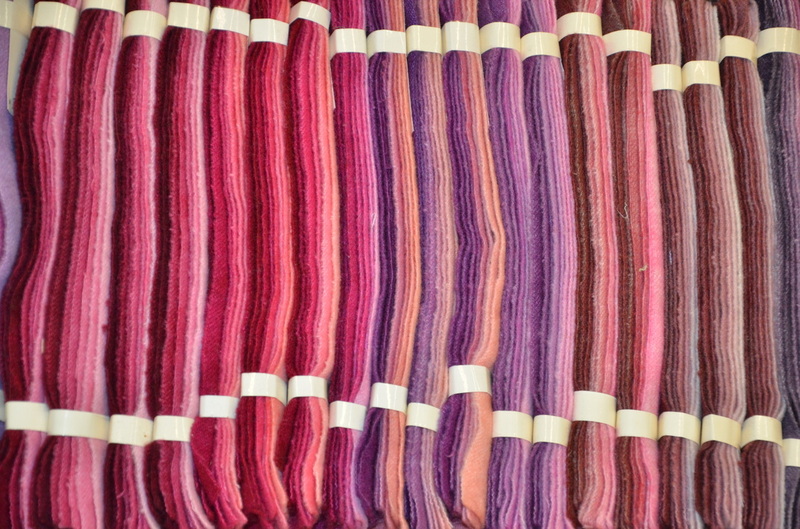 Thank you, Norma, for sharing this fascinating history of the rugs and being our friend and teacher. This was an experience that we will remember forever and hold close to our hearts.